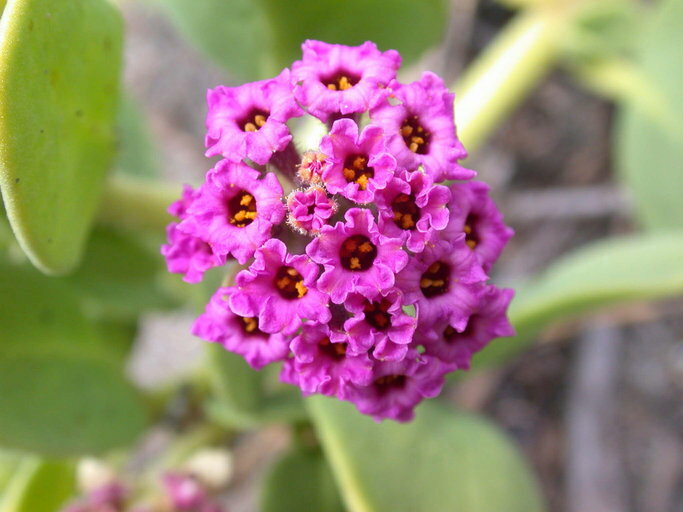 Abronia maritima, a dicot, is a perennial herb that is native to California, Baja California. /app/up/entry/68/th/20466.jpg:!0000 0000 0110 0021:!/app/up/cbo/47/th/14353.jpg:!/app/up/entry/18/th/5451.jpg:!/app/up/entry/18/th/5453.jpg:!0000 0000 0113 1455:!0000 0000 0910 0123:! 2018 Ron Vanderhoff:!2010 Gary A. Monroe:!2017 Laura Masor:!2015 Kelli Kallenborn:!2015 Kelli Kallenborn:!2013 Keir Morse:!2010 Robert Steers:! gp9904:!:!po67611:!po8284:!po8283:!:! :!